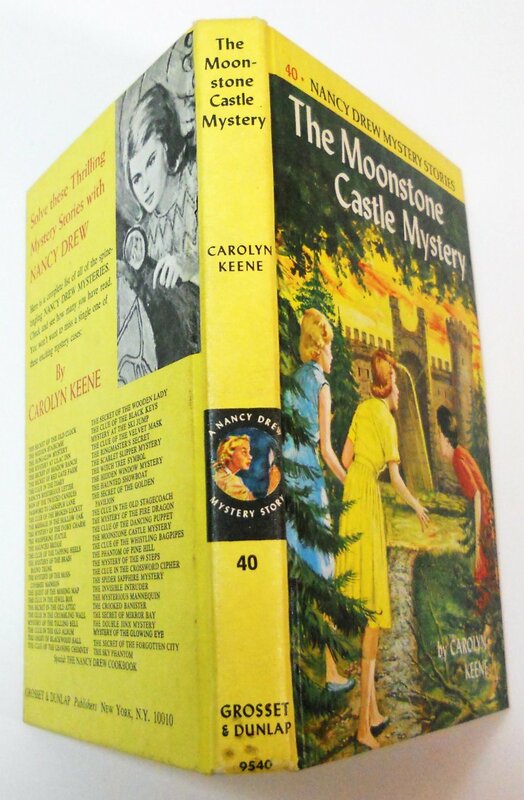 This volume has the later version of the black and white multi pictures endpapers and the back cover with Nancy Drew looking through a magnifying glass in the upper right corner. It also has the yellow strip across the top. 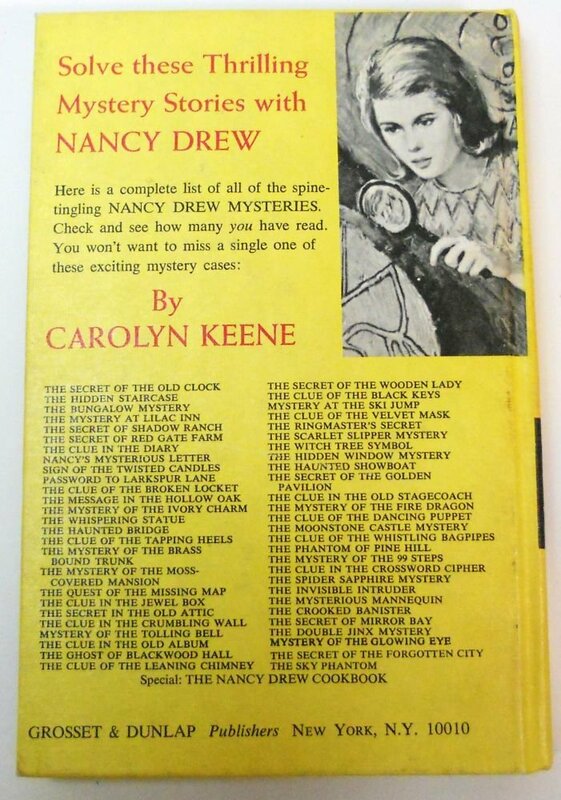 The last book listed on the back is the Nancy Drew Cookbook with #53 The Sky Phantom, 1976 as the last Nancy Drew Mystery. The book has 20 chapters, books #35-56 were never published with 25 chapter texts. 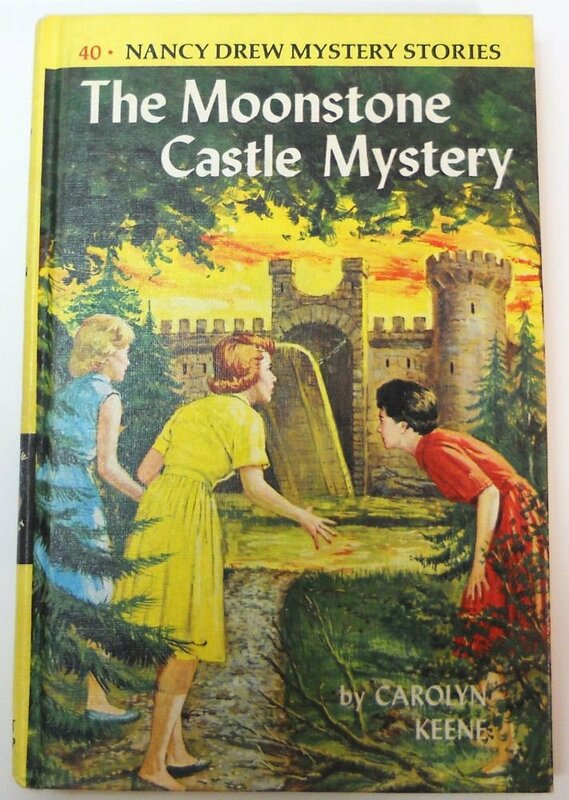 There is a no pre-text book list and has a order form in the back with Nancy #53 The Sky Phantom, 1976 as the last books listed.